Here’s what’s happening in the world of television for Monday, April 15. All times are Eastern. DC’s Legends Of Tomorrow (The CW, 8 p.m.): Hank may have been killed by Neron last week, but it looks like his spirit isn’t done with the physical world. 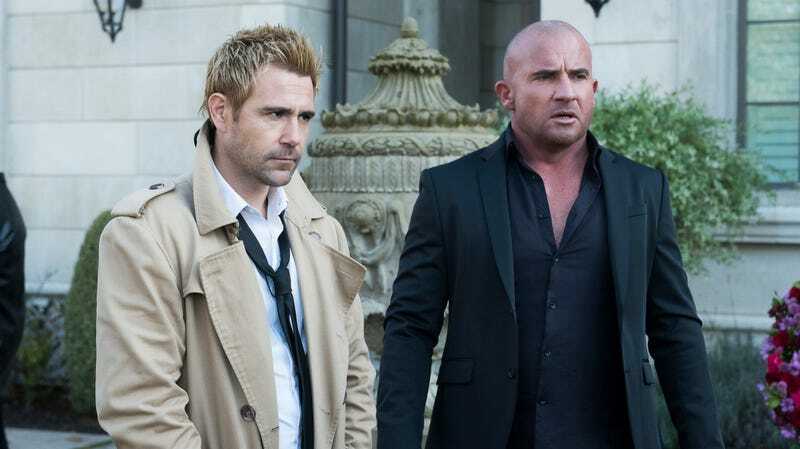 This week’s Legends will deal with the fallout of last week’s cliffhanger, with Constantine, Nate, and Rory performing a séance at Hank’s funeral, and receiving a message “that rocks Constantine to his core.” Also, the ladies travel back to 1809 to protect Jane Austen from some magical mischief. Just another week on the Waverider. Hostile Planet (National Geographic, 9 p.m.): Nat Geo’s nature documentary series Hostile Planet heads to the “Grasslands.” The series, executive-produced by Bear Grylls, explores some of the world’s most extreme environments.